St. Andrews Parish UMC invites you to see the Sonlight Youth Choir and Praise Band from Gainesville, Florida on Thursday, June 20 at 7:00 pm. They will be performing a concert in our sanctuary, singing songs that you hear on the radio, both Christian and Secular, and offering their God-given talents to God and to us. We'd love to have you join us! The church is at 3225 Ashley River Road, Charleston, SC between the Shadowmoss and Village Green subdivisions. For questions call Herman Lightsey 803-622-1287. There is a bus that will be taking a load if a ride is desired. I want to invite your youth to join us at Grace UMC for two awesome events this summer! On June 22, we are having a "Faith in College Symposium" from 1-4 pm. This is an event for any current high school student, recent graduates, or current college students who are wondering how they can stay strong in their faith while facing stress, temptations, and other challenges that college students encounter. Join us and listen to current college students share ways they have journeyed in their faith. We will have adult leaders share about campus ministry. This is a free event for students and parents. We also invite your youth (from 7th-12th grades) to join us for our second Worship Arts Camp from July 9-12th. Our camp provides a creative place for students with musical, theatrical, and artistic gifts to learn how they can use these gifts in worship. The camp runs from 10 am - 2 pm. Join us Friday at 6 for a special worship service to see the work these students have put into their experience. The cost for this event is $25. Attached to this email are fliers that you may put up in your church. If you have any student interested in participating in either event, please let me know! We are all stunned by the magnitude of the damage and loss of life resulting from the tremendous tornado that struck Moore, OK yesterday. And, of course, there were more tornados in the two days previous, and there are more predicted for today, both in the Midwest and in Texas. Undoubtedly, questions are already being asked in your districts as to how we can respond. Attached is a message from my counterpart in the Oklahoma Conference, Richard Norman. It gives good information, both as to what we can do and what we should not do. Richard's directions were for the churches in the OK Conference. In addition to sending money to that conference directly, we should also consider sending funds to the advance for UMCOR US Disaster Response, #901670. Also, people can text 80888 from a cell phone to make an automatic $10 donation for UMCOR. These donations will be undesignated and will be used by UMCOR where most needed.. I will be sending other information as it becomes available. For now, prayer and donations are most needed. However, you can also start now motivating your local church members to be thinking about forming UMVIM teams for long term recovery. Undoubtedly, there are families whose homes are damaged, if not destroyed, that are underinsured or without insurance that will need help to rebuilt. John Wesley UMC will host a service of prayer Wednesday, May 22, 2013, at 7 p.m. for the victims of the deadly storms sweeping across the US. This special service will be held in the Sanctuary. The service will include music, prayers for the victims, and lighting of candles. In addition, the sanctuary will be open Wednesday 1:30 p.m.—8:30 p.m. for prayer. 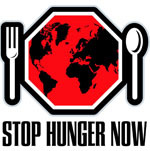 The South Carolina Conference of the United Methodist Church is hosting a Stop Hunger Now event as part of our efforts to fight hunger around the world. Learn More. Our first goal of reaching $36,000 by May 1st is fast approaching. Here is where we currently stand! Volunteer! - We can't do it without you! We need 1,000 Non-Delegate volunteers! Register Online to participate in the packaging. "There is a form in the Pre-Conference packet to sign up for the lunch, this is the only meal being served at the Civic Center on Tuesday due to the "Stop Hunger Now Event". Please fill out the Lunch Reservation for that day - there will be no extra tickets sold @ the door." Mail your check and reservation to the Florence Civic Center address is on form! All clergy are required to be trained in Sexual Ethics each quadrennium. You should go online to umcsc.org to register for the training. The cost is $12.00 per person. Training for our District is offered on May 23 beginning at 8:30 at St. George United Methodist Church in St. George. You may attend an event in another setting, but this is mandatory training for all clergy. The only make-up day will be June 1 in conjunction with the School for Pastoral Ministry. Please register as soon as possible as they must order the meals which are included in your registration fee. Attendance will be taken at St. George, so please notify the District Office if you will be attending in another setting.